You can live a full and happy life even if you have hypertension. It’s all about changing your attitude towards your health, your food choices, and how you take care of yourself. And with these simple reminders, you’ll have an easy-to-do guide to help you keep your well-being in check. Monitor Your Blood Pressure. Keeping track of your blood pressure is a must. Ask your doctor how you can do this at home, or if you want professionals to do it, make sure to schedule regular check-ups. Keep a log of your readings, as it can help your doctor manage your treatment plan. Depending on your results, there may be changes to your medications or your daily routine. 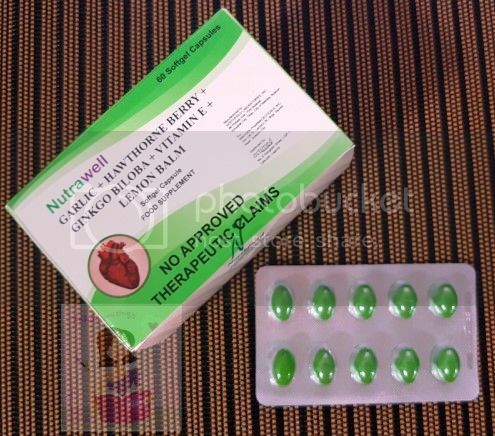 Nutrawell Garlic + Hawthorne Berry + Ginkgo Biloba + Vitamin E + Lemon Balm Capsule provides enhanced enzyme metabolism and oxygen utilization in the heart muscle. Don’t Forget Your Meds. Take all of your medications as prescribed by your doctor. Make sure to ask your doctor or your trusted pharmacist on how to safely take your meds while keeping notes on their potential side effects. Knowing when to refill your meds is a must too, so you can get more in advance before you run out of stock. To help you save on your medication expenses, you can visit a Generika Drugstore near you for safe, quality, and affordable hypertension meds. Generika’s generic medicine offerings are up to 85% cheaper than the innovator brands offered in the market, helping you stretch your budget. Eat Better. Changing what you eat and how much you eat greatly impacts how well you live with hypertension. You’ll have to eat less food that is high in saturated fats, trans fats, and cholesterol. And while it’s hard, you’ll have to cut your intake of salty food (no more processed food! ), sweets, sugary drinks, and red meat. It is also a must that you eat more fruits, vegetables, whole-grain food, and lean meats. Exercise More. Some studies have revealed that with every kilogram of excess weight lost, your blood pressure drops at increments of 2.5 mm Hg systolic and 1.5 mm Hg diastolic. By exercising more, not only do you lose weight, you can also improve your overall cardiovascular health. But remember to ask your doctor for advice on what kind of exercises you can do, so you can ease your body into a healthier lifestyle. 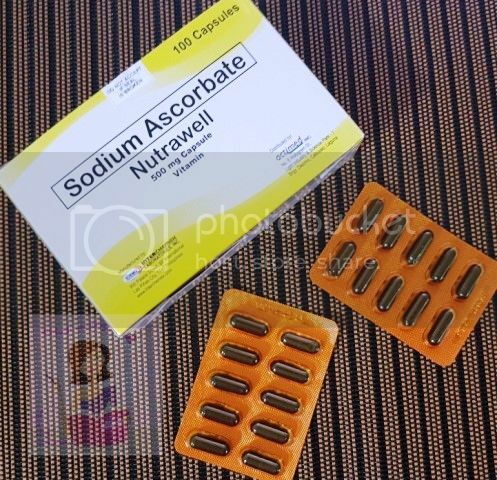 Nutrawell Sodium Ascorbate supplies a person’s daily need of Vitamin C that can help boost immune system from fatigue, lassitude, widespread connective tissue weakness and capillary fragility. Remember to Rest. How you keep yourself relaxed and rested can affect your blood pressure. Remember to get enough sleep every day and as much as possible, avoid staying up late. Learning ways to cope with stress also helps keep your blood pressure in check. Cut Your Vices. If you smoke or drink, ask your doctor how you can safely wean yourself away from your old habits. Smoking and alcohol are bad for your health as they both elevate your blood pressure and limit your body’s ability to heal faster. You’d have to cut back on your coffee too, as it increases both your heart rate and blood pressure. With these reminders, you can surely live a full and happy live even if you have hypertension. All you need to do is to eat well, exercise, and make sure allot ample time for rest and relaxation. But above all, you need to adhere to your medical regimen. To save on your hypertension medication, Generika Drugstore has safe, quality, effective, and affordable medicines that you need. Just bring a prescription from your doctor and their licensed pharmacists will surely help you out. For more information visit, www.generika.com.ph.